Our favorite duo will be spending an unknown amount of time in Hawaii while Amanda incubates “keiki” Hayes. With our help, we can support them by helping ease the financial stress of medical bills, unexpected months without work or income, and all of the expenses incurred with an extended out of town stay during this medical emergency. Myles and I came to Hawaii on January 2 for the beginning of our 2 week belated honeymoon, after getting married in July and finding out we were pregnant in August! Things took a rather unexpected turn, and we will now be returning from our Hawaiian honeymoon WITH our Hawaii-born baby!!!! On Friday, Jan 5, after 2 1/2 days of a beautiful vacation in Kauai, we were on Hanakapi'ai beach along the Napali Coast in Hanalei when my water broke unexpectedly, at 26 weeks & 3 days pregnant, a little over 3 months before our April 10 due date. I had no idea what was happening, as my water breaking was the furthest possibility from my mind, and a very nice mother told me we'd better start walking and get ourselves to the nearest hospital. We gathered up our stuff for the 2 mile hike back to the beginning of the trail, me in superhero mode, walking as fast as I could, balancing on slippery rocks with ease and trying to stay calm and hydrated along the way, as I completely freaked out on the inside. After an hour hike, we drove another hour and change to the nearest hospital in the town of Kapaa. 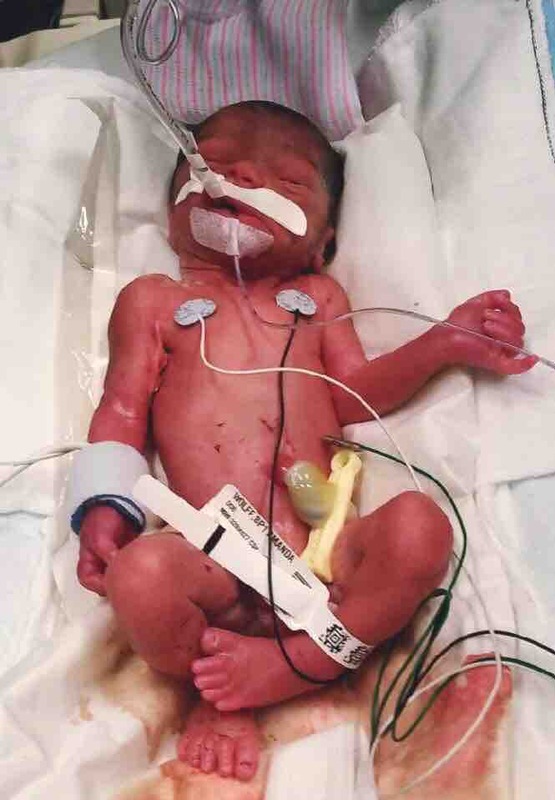 I was examined at Wilcox Memorial where they told my water had indeed broken, that I was unable to leave hospital care until delivering my baby, and that we would have to be immediately medevaced in a small plane over to Oahu, where lies the only facility in Hawaii equipped to deal with premature birth scenarios. 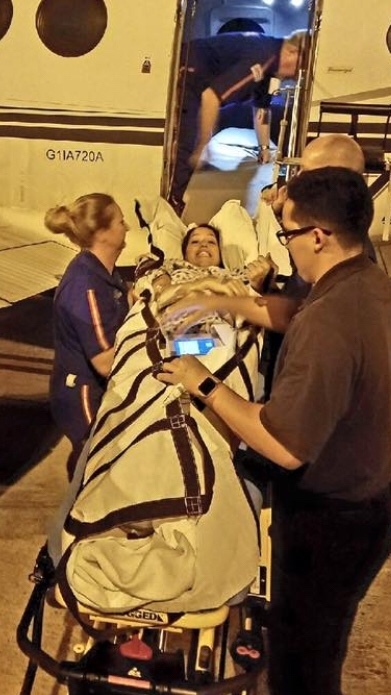 Panic started to set in as we realized the enormity of the situation....Myles rushed to our hotel to pack up all our belongings, made it back to the hospital with 30 mins to spare before we were whisked onto a tiny plane, me in a bed and Myles in the front seat. 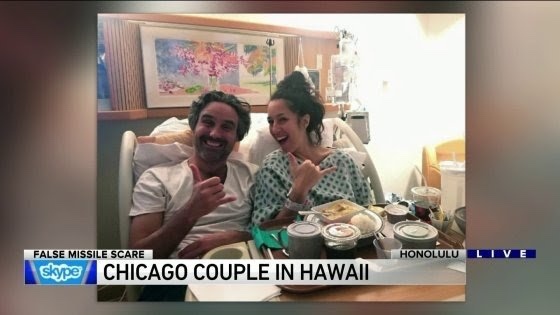 We arrived in Honolulu approximately 30 mins later, around 9pm, at the hospital where I will now call home for the next many many weeks. Our arrival was a flurry of activity as I was examined, hooked up to monitors, given shots and IVs, told the risks of our situation and the hopes of what might happen. Over the next several hours, after constant fetal heart monitoring, an ultrasound, and overall assessment of the situation, we were told that the baby (and myself) look healthy and stable and the best case scenario is that I will carry until 34 weeks, at which point they will then induce due to increased risk factors. So our Hawaii honeymoon has turned into a rather lengthy adventure! We will deliver no later than Feb 27 and if all goes well, should return to Chicago by mid-March, when the baby is given the okay to fly. Our little Aries will now be a Pisces, or possibly even an Aquarius! There has been much to figure out due to the logistics and expenses of being gone so long. I am so sad to miss all the many gigs I won't make it back for, but I have wonderful people covering for me, largely including Jen Zias and Leslie Beukelman. Both the Merit School and Chicago Children's Choir staff and faculties have been amazing in filling in my teaching positions. Myles also regrets having to miss many of his own performances as well as his his job with Visual Image Photography, and we both greatly look forward to returning to our new life in Chicago in the Spring! Welcome sweet Baby Boy Hayes! We have all been waiting to meet you . Mom & baby doing well and Dad is proud as can be ❤️. 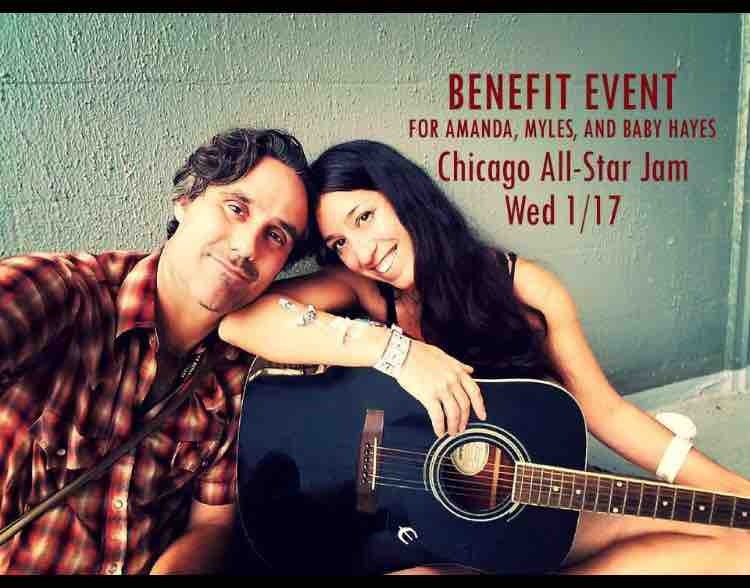 Amanda and Myles will be on WGN TV today in a live Skype interview at approximately 12:45pm. Tune in! What wonderful, generous, dedicated, thoughtful, positive, supportive, loving, extraordinary, humbling, awe inspiring, light in the dark, miraculous, heart stirring friends you all are to Myles and Amanda. No one expected to almost meet the goal in less than three days. You are all a part of this story! As Baby Hayes continues his 27 3/7th week of life, his has been busy gaining weight, sleeping and waking at regular intervals, opening and closing his eyes, and perhaps even sucking his fingers. Anyone guessing if Baby Hayes will be born with lots of hair??? Baby Boy Hayes parents have also been busy touring the NICU, playing community hospital bingo (really guys??) and enjoying the treats sent by treasured friends from the mainland. They have also hosted much needed company from local friends and enjoyed wheelchair riding down to the hospital coffee shop. Amanda and Myles also celebrated a medical hurdle by having a, “do not disturb” notice on the door during nighttime hours! That’s right, Mom and baby are doing so well that the family is allowed to sleep thru the night. 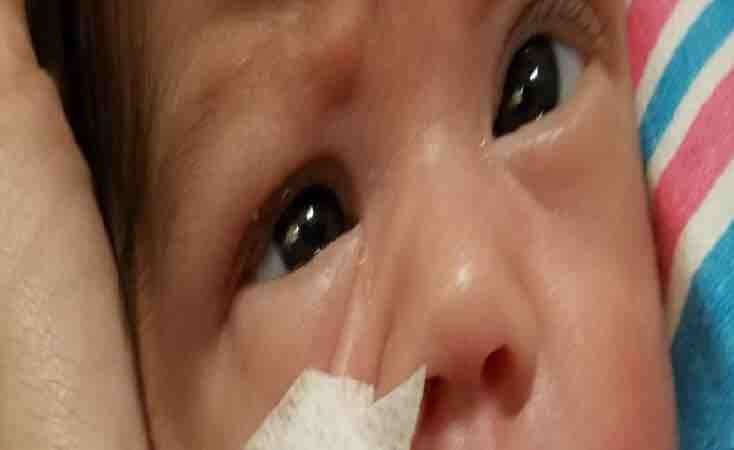 There is still a long time to go for our Hawaiian transplants and this also includes a list of many “unknowns.” Please continue to give your support of love, positive thoughts, letters, emails and continue to share/encourage donations to our GoFundme. Donations will still be accepted even if the goal is met.